AEM Performance Electronics has released its E85 Fuel Pump (PN 50-1200) for high performance naturally aspirated and forced induction EFI vehicles. 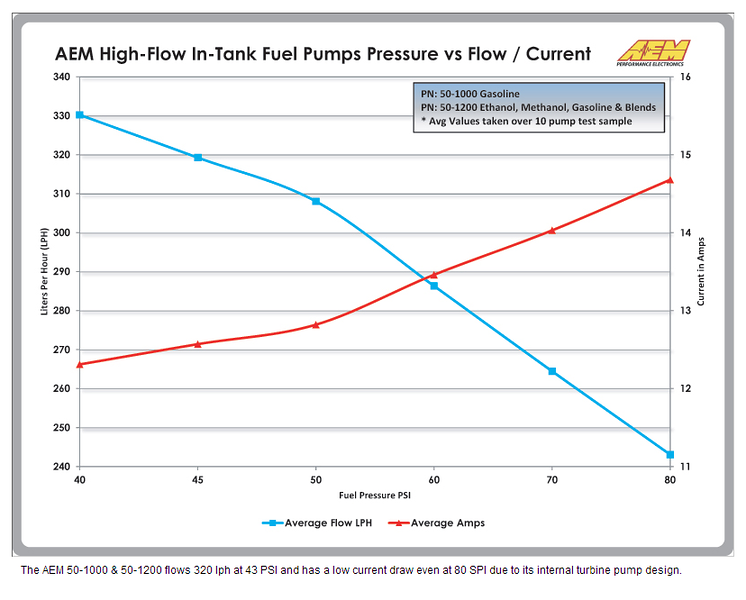 The AEM E85 Fuel Pump flows 320 lph (84 gph) at 43 PSI. 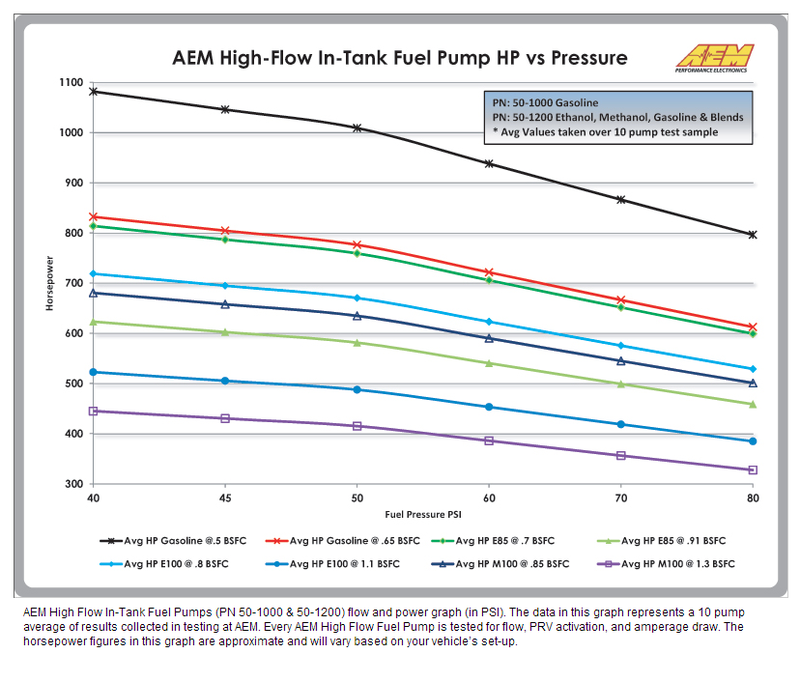 * Please refer to the chart below for fuel pump horsepower versus pressure for various applications and fuel types. The AEM E85 Fuel Pump is designed for in-tank mounting and features a compact 39mm diameter that fits most applications. It features an offset inlet design that eases installation and includes a wiring harness, pre filter, internal fuel hose and clamps, end cap and rubber buffer sleeve. 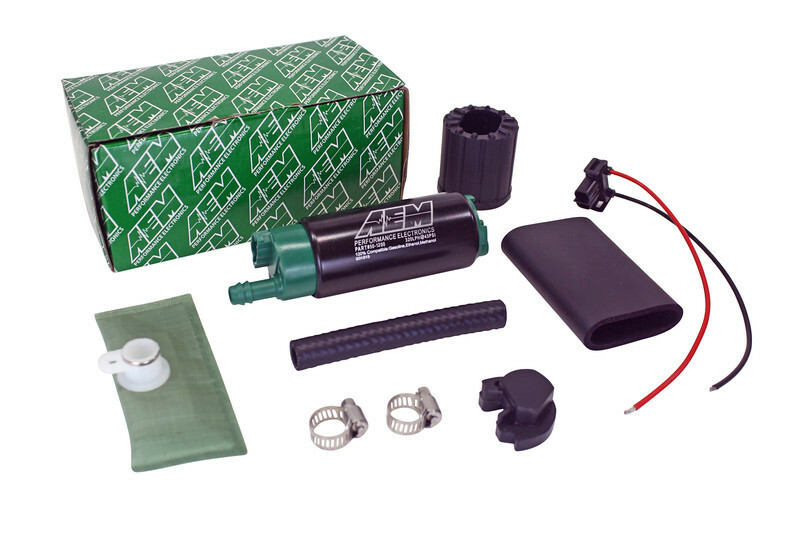 Every 50-1200 AEM E85 Fuel Pump is tested to flow 320 lph at 43 PSI before it is packaged for sale. *Power rating given at 43 PSI, 13.5v at the pump with a BSFC of .5. Flow capability for horsepower support is ultimately dependent on fuel hose diameter, and system electrical voltage and amperage capabilities.